Infinity Ward Community Manager Tina Palacios says the studio wants to end the Modern Warfare franchise with Call of Duty: Ghosts, but that doesn't necessarily mean that it's over. As the fable says, when you have a goose that lays golden eggs, it's generally not smart to mess with it. And there are few geese that poop the glitter as reliably as the Call of Duty franchise, specifically the Modern Warfare part of it, which makes Palacios' comments about the future of the series just a wee bit baffling. "With the storyline, we knew that we wanted to end the Modern Warfare franchise, and we wanted to go in a new direction," she told OXM. Of course, ending the Modern Warfare franchise is kind of like killing Superman, and Palacios unsurprisingly hedged her bets with a tried-and-true qualifier. "I can say that our focus and only focus is on Ghosts right now as it is, and we have no other plans at this time," she added. 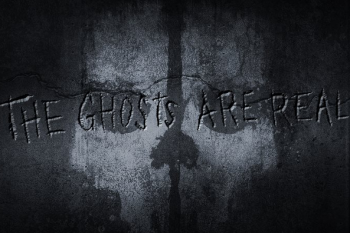 She also noted, in case you missed it, that the Ghosts in Ghosts are heavily inspired by Ghost from Modern Warfare 2. "It made sense for these soldiers we have in Ghosts who want to hide their identities would have the same masks and face paint. I think it would be safe for me to say that just knowing the characters from our previous games didn't have a backstory, that's what really pushed us forward," she said. "We thought we need to really establish that." Palacios' comment would seem to contradict the year-old rumor that Modern Warfare 4 is already in the works, but the question of what an "end" to the series actually means is wide open. Real closure is a possibility but given Activision's history, I'm inclined to think it's probably something a little closer to Superman.